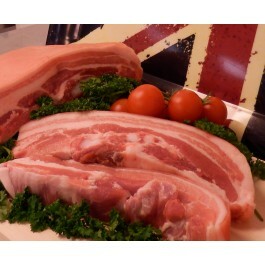 Locally bought belly pork slices, hand cut by ourselves and scored to crackle when cooked. Product sold by the slice. If you prefer to buy a joint please send us an email requesting so.